- WCW Starrcade '92 (December 28) = In a dark match, Shanghai Pierce fell to Brad Armstrong. - WCW Clash of the Champions XXIII (June 16, '93) = In a dark match, Pierce was beaten by Jim Neidhart. - WCW Beach Blash '93 (July 18) = Pierce & Tex Slashinger lost to Marcus Bagwell & Too Cold Scorpio. - WCW Fall Brawl '93 (September 19) = Pierce was pinned by Ice Train. - WCW Battle Bowl (November 20, '93) = Pierce & Rick Rude defeated Marcus Bagwell & Tex Slashinger. Later on, Pierce competed in the "Battle Bowl Final Battle Royal" Match, which was won by Vader. - WCW Starrcade '93 (December 27) = Pierce & Tex Slashinger fell to Cactus Jack & Maxx Payne. - WWF Royal Rumble '95 (January 22) = Henry Godwinn competed in the "Royal Rumble", which was won by Shawn Michaels. - WWF In Your House #2 (July 23, '95) = Godwinn fell to Bam Bam Bigelow. - WWF In Your House #3 (September 24, '95) = Godwinn was beaten by Sycho Sid. - WWF In Your House #4 (October 22, '95) = In a dark match, Godwinn took down Sycho Sid. - WWF Survivor Series '95 (November 19) = The Dark Side (Godwinn, the Undertaker, Savio Vega, & Fatu) competed in an "Elimination" Match against the Royals (Mabel, Hunter Hearst Helmsley, Jerry Lawler, & Isaac Yankum). The Dark Side's Team 'survived'. 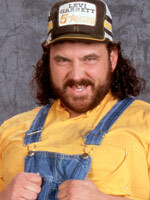 - WWF In Your House #5 (December 17, '95) = Godwinn lost an "Arkansas Hog Pen" Match to Hunter Hearst Helmsley. - WWF Royal Rumble '96 (January 21) = Godwinn competed in the "Royal Rumble" Match, which was won by Shawn Michaels. - WWF In Your House #6 (February 18, '96) = In a dark match, the Godwinns (Henry & Phineas) defeated the Bodydonnas. - WWF World Tag-Team Title Tournament (February/March '96) = The Godwinns beat the New Rockers and Owen Hart & Davey Boy Smith to reach the finals of the tournament. - WWF Wrestlemania XII (March 31, '96) = In a dark match, the Godwinns lost in the finals of the tournament to the Bodydonnas, who won the vacated WWF World Tag Titles. - WWF Good Friends, Better Enemies (April 28, '96) = The Godwinns lost to the WWF Tag-Team Champs, the Bodydonnas. - WWF Beware of Dog (May 26, '96) = In a dark match, the Godwinns lost the WWF World Tag Titles to the Smoking Gunns. - WWF King of the Ring '96 Tournament (May/June) = Henry lost in the first round to Justin Hawk Bradshaw. Steve Austin won the tournament. - WWF International Incident (July 21, '96) = Henry was beaten by Mankind. - WWF Summerslam '96 (August 18) = The Godwinns lost a "Four Corners Elimination" Match to the WWF Tag Champs, the Smoking Gunns. The Bodydonnas and the New Rockers were the other participants. - WWF Xperience (August 24, '96) = The Godwinns took down the New Rockers. - WWF Buried Alive (October 20, '96) = In a dark match, the Godwinns beat the New Rockers. - WWF Survivor Series '96 (November 17) = The Godwinns, Doug Furnas, & Phil Lafon competed in an "Elimination" Match against Owen Hart, Davey Boy Smith, & the New Rockers. Henry was eliminated. Furnas & Lafon 'survived'. - WWF Royal Rumble '97 (January 21) = Henry competed in the Royal Rumble, which was won by Steve Austin. - WWF The Final Four (February 16, '97) = In a dark match, the Godwinns won over the Headbangers. - WWF Wrestlemania XIII (March 23, '97) = The Godwinns lost a "Four Corners Elimination" Match to the Headbangers. The other participants were Phil LaFon & Doug Furnas and the New Blackjacks. 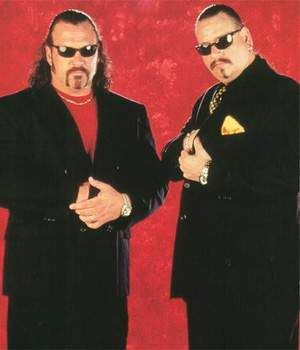 - WWF Raw Tag-Team Tournament (June/July '97) = The Godwinns lost in the first round to the Legion of Doom. Owen Hart & Davey Boy Smith won the tournament. 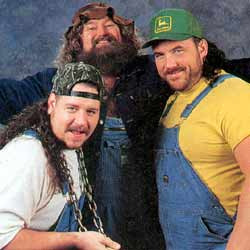 - WWF Canadian Stampede (July 6, '97) = In a dark match, the Godwinns took down the Blackjacks. - WWF Summerslam '97 (August 3) = The Godwinns fell to the Legion of Doom. - WWF Ground Zero (September 7, '97) = The Godwinns lost a "Four-Way Elimination" Match to the Headbangers, who won the vacated WWF Tag-Team Titles. The other participants were Owen Hart & Davey Boy Smith and the Legion of Doom. - WWF One Night Only (September 27, '97) = The Godwinns were beaten by the Legion of Doom. - WWF Survivor Series '97 (November 9) = The Godwinns & the New Age Outlaws fought in an "Elimination" Match against the Headbangers & the New Blackjacks. Henry was eliminated. The Outlaws were the 'survivors'. - WWF Royal Rumble '98 (January 18) = Henry competed in the Royal Rumble, which was won by Steve Austin. - WWF Wrestlemania XIV (March 29, '98) = The Godwinns competed in a "Tag-Team Battle Royal", which was won by the Legion of Doom 2000. - WWF Mayhem in Manchester (April 4, '98) = The Godwinns won a "Strap" Match over Skull & Eight Ball. - WWF Breakdown (September 27, '98) = Southern Justice (Mark Canterbury & Dennis Knight) & Jeff Jarrett were beaten by X-Pac & the New Age Outlaws.